How do you spend your New Year's Day? If you enjoy hiking you may want to take adantage of a free guided tour in your area. This year will include Historic Columbia River Highway State Trail in Mosier. Read more about these guided tours below. 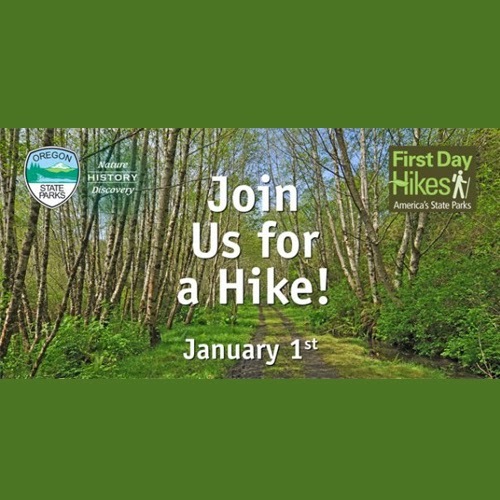 For the third year in a row, the Oregon Parks and Recreation Department (OPRD) is partnering with America’s State Parks to offer free guided First Day Hikes in state parks across Oregon on New Year’s Day.#Eastern Columbia Gorge hikes include one at Cottonwood Canyon State Park in Sherman County and another at the Historic Columbia River Highway State Trail in Mosier. Take in views of the Columbia River Gorge and learn about its history and geology. Look for eagles, osprey, hawks and deer. 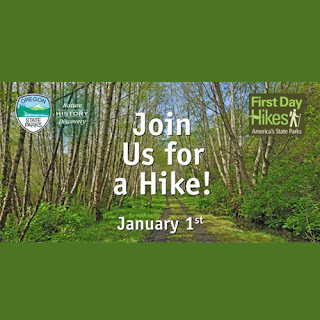 Be prepared for possible icy conditions.#The hike is from 10:30 a.m. to noon starting at the Mark O. Hatfield East Trailhead on Rock Creek Road in Mosier. Terrain is a paved, relatively flat surface with a 500-foot elevation change over two miles.